Introducing CHEETAH SORB, the only industrial floor oil absorbent you will need! The first new oil absorbent that is dust-free, highly absorbent, incinerable, and priced like floor dry! 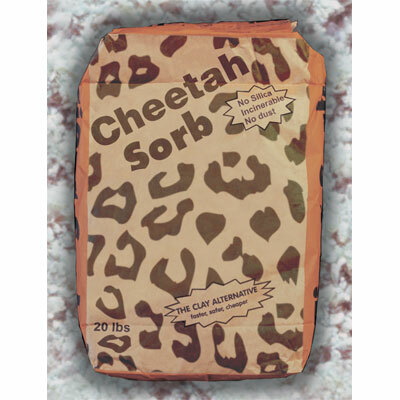 Cheetah Sorb even looks like floor absorbent, without the harmful silica. Don't make price be the reason you handle the most cost consuming absorbent in the market. Lower your handling costs and get the power of the "Cheetah" at kitty litter prices!